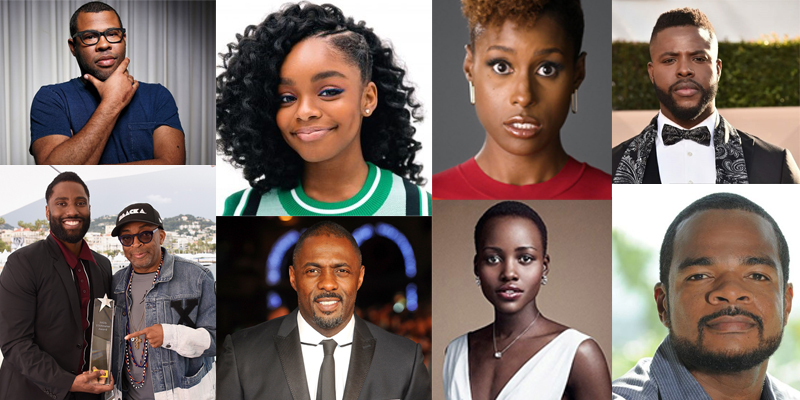 2018 was a record-breaking year for black filmmakers and actors, and in recent years studios have started backing more projects with diverse directors and casts. While there is still a long way to go in terms of representation, 2019 is shaping up to be another groundbreaking year. March 22, 2019 marks the national premiere date of Jordan Peele‘s second feature film, Us. Lupita Nyong’o and Winston Duke lead the impressive cast, and Us has already achieved critical acclaim with a Rotten Tomatoes critical score of 95 percent. Jordan Peele just released his second feature film. The film is a follow up to Peele’s 2017 horror film Get Out, which was the tenth most profitable film of 2017 and earned four Academy Award nominations for Best Picture, Best Director, Best Original Screenplay and Best Actor for Daniel Kaluuya. Peele took home the award for Best Original Screenplay, making him the first black screenwriter to win in the category. Nyong’o and Duke both recently starred in the 2018 film Black Panther, which made history as the first superhero movie to be nominated for Best Picture at the Academy Awards. While Nyong’o is no stranger to the big screen and is an Academy Award winner for her role in the 2013 film 12 Years a Slave, Black Panther was Duke’s first feature film. 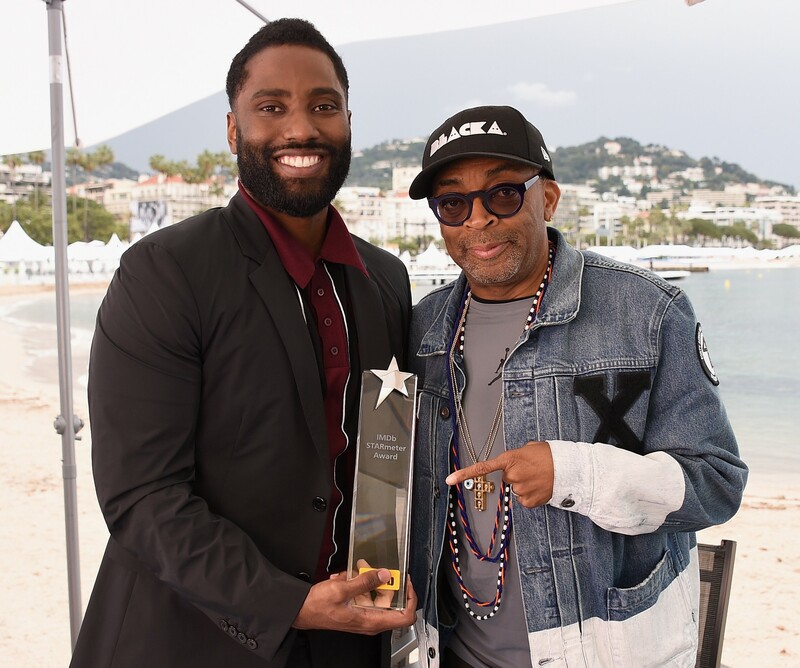 John David Washington and Spike Lee. 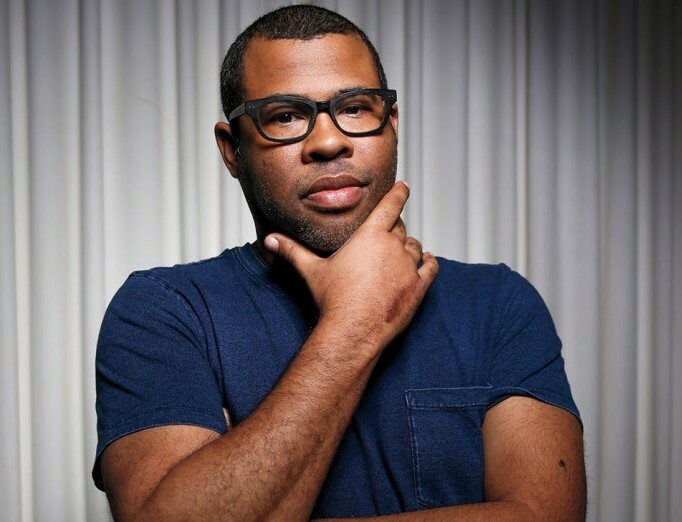 Peele was also nominated for Best Picture at the 2019 Academy Awards with the film BlacKkKlansman, which he co-produced. BlacKkKlansman was directed by famed director Spike Lee, and with the film Lee won his first competitive Oscar for Best Adapted Screenplay. The film starred John David Washington in the role of Ron Stallworth, a retired police officer who infiltrated the ranks of the KKK in Colorado Springs, Colorado. Washington is a former NFL running back who became an actor like his parents, Denzel Washington and Pauletta Washington. Washington was recently cast in the lead role of an untitled Christopher Nolan project, set to be released in 2020. This casting makes Washington the first black lead to star in any of Nolan’s films. 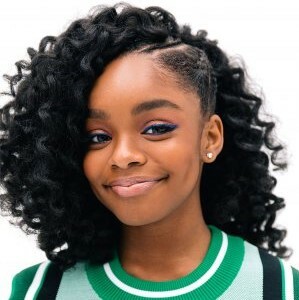 Marsai Martin is the youngest executive producer of a Hollywood production. Regina King won the 2019 Oscar for Best Supporting Actress for her role in If Beale Street Could Talk. The film was directed by Barry Jenkins, an Academy Award-winning film director and screenwriter. Following the 2019 awards season, there are several films scheduled to be released this year that are led by black filmmakers and casts. Issa Rae, Regina Hall, and Marsai Martin are starring in an upcoming film, Little, scheduled to be released in April 12, 2019. At 14 years old, Martin is serving as an executive producer, making her the youngest executive producer on a major Hollywood production. It is directed by Tina Gordon Chism, who is known primarily as a screenwriter. Men in Black: International is set to be released on June 14, 2019 and is directed by F. Gary Gray. Notable actor Will Smith will appear in three films in 2019: Aladdin, Spies in Disguise, and Gemini Man. Idris Elba recently hosted an episode of Saturday Night Live and will appear in two 2019 films: Hobbs & Shaw and Cats. He was also announced as Smith’s replacement in the 2021 film The Suicide Squad.